Students often struggle with how to read numbers, which is key when working with place value. 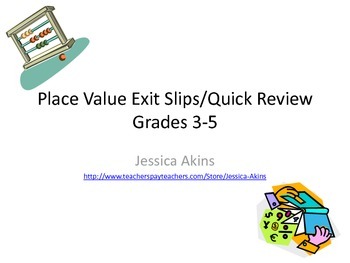 Use these 25+ cards to quickly review place value and develop students skills. These cards go through the trillions. 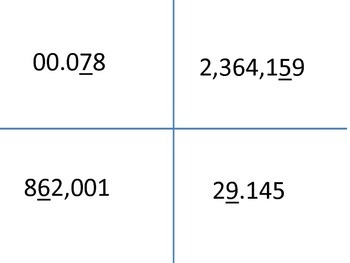 Numbers include decimals to the thousandths. Cut out each card and laminate. 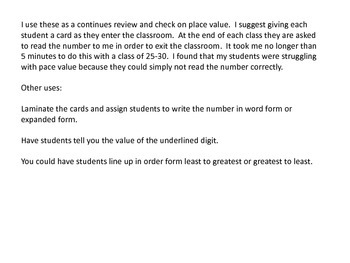 Give each student a card when they enter your class and use in one of the suggested ways below.